We operate a unique system of training courses that are student-centric and outcome driven. We give time for the students to learn, grow there knowledge and confidence and practice their skills in a hands on environment. In the end the student is able to undertake the tasks to a high level. Day 1: This practical skills course develops core foundation skills for basic rope rescue skills for operating in low angle environments. 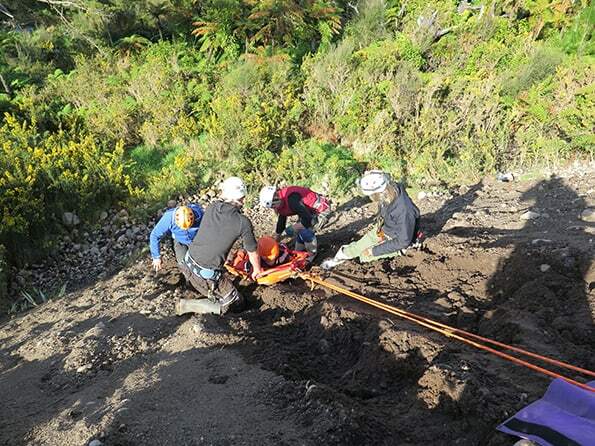 This course has a focus on developing core knot skills, selecting and building suitable anchor systems, the use of personal edge kits and the packaging and transport of patients in stretchers over moderate terrain. Risk management and safety in rope rescue operations are emphasized. Day 2: ­In addition to the Foundation Rope Skills above you need some additional skills for the moderate terrain. Moderate terrain could be steep embankments, slopes, road-sides and gulleys. So why not add a second day so to include lowering, raising, belaying, redirects and more practical scenarios. Customised training delivered at your work site in context with your environment. Students get to use their own worksites/teams equipment. The timing of the training can be to suit your work/team schedule. A learner guide is included. Training is best suited to groups/teams either wanting training or a refresher. 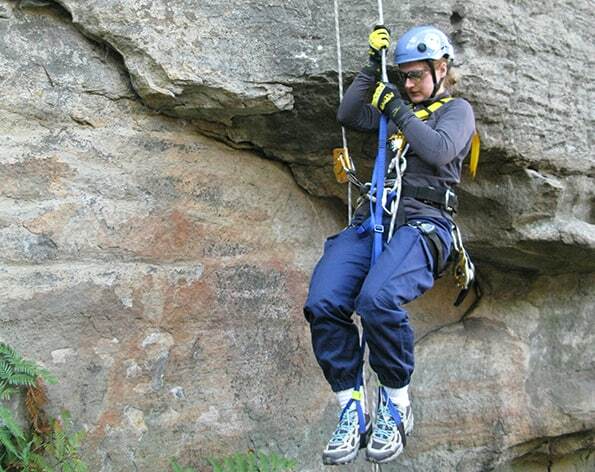 This course is designed to develop the skills of individuals who respond to rope rescue incidents. 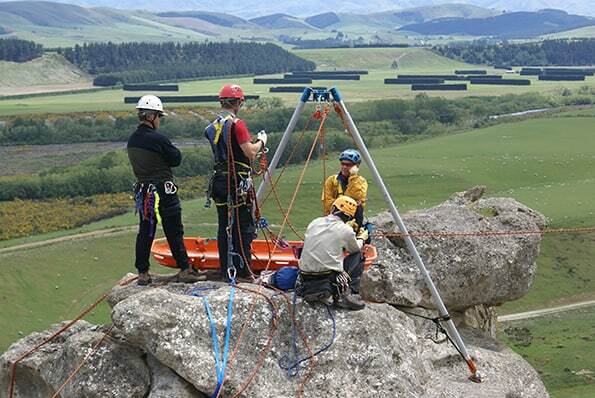 It includes care of equipment for rope rescue, establish simple fixed (load sharing) anchors to support a rope rescue system, perform double line rope rescue techniques to access, assess and stabilise a patient in a high angle environment, establishing 2 person anchors to support a rope rescue system, carry out descent and ascent based techniques (knot pass) and perform descender based pickoff rescue to evacuate a patient from high angle environment . The Vertical Rope Rescue course is designed to advance the skills of the individual and focus on the development of team-based rescue techniques. This includes demonstrate knowledge of equipment for specialist rope rescue, prepare and rig a stretcher for high angle use, using double line technique, perform specialist rope rescue techniques to recover patient using raising and lowering. The Offset part of the course is designed to advance the skills of the individual and focus on the planning, building, assessing fitness, using and dismantling the Offsets. This includes demonstrate knowledge of the types, forces applied, methods of adjustment, rigging rules of thumb, assessment methods. Most importantly you will be learning various configurations during the course including tracking line, deflected line, two rope and skate block offsets. This High directional part of the course is designed to advance the skills of the individual and focus on the planning, building, assessing fitness, using and dismantling the Artificial High Directional. This includes demonstrate knowledge of the types, forces applied, methods of adjustment, edge trauma, guying methodology, rigging rules of thumb, assessment methods and most importantly using various configurations during rope rescue evacuations. Customised training delivered at your team in context with your environment. Students get to use their own teams equipment. Timing of the training can be to suit your team schedule. On application. We will give you a fixed cost for the course based on your location and the number of people you need to train. We come to your location which means we train in context with your environment. This also makes the course ultimately cheaper as there is usually less logistical expense and travel time for your staff. As part of the course the course host organisation needs to provide the venues. Are the courses NZQA accredited? Many of the courses have an NZQA Unit Standard assessed. These courses are run in partnership with SARINZ. SARINZ is a Private Training Establishment, NZQA accredited and approved to run the training. What are the general entry requirements for courses? Pre-course work to be completed. Background experience is required that ensures safety in the operating environments is needed. For rope and heights courses: participants should ensure they do not suffer from vertigo (dizziness at heights) or acrophobia (fear of heights). Participants should have sound English language skills sufficient to read and write so that evidence can be recorded into field notes. Participants should also be able to demonstrate basic interpersonal and communication skills. Prerequisites are listed on a course by course basis. What is the equipment needed for the courses? Generally, we expect all personal equipment to be supplied by the host organisation. This has a dual benefit of training with equipment that you will be using on the job and keeps cost down from shipping our gear around. We can discuss the personal and team equipment needs on application for the course. We can supplement your team equipment if required.